large animals and is not approved for human use. Carfentanil has already been seen in several cases in Cincinnati during the past week.“We’re asking those working with users to please warn of this potentially deadly mixture,” Ingram says. “In addition, it is important to warn first responders and medical personnel that carfentanil can be hazardous to them, as well.”Chief Tom Synan, who heads the Hamilton County Heroin Coalition supply control segment adds: “We do not know what quantities or manufacturing methods are used by those dealing in heroin, so we must use extreme caution in the field and in treatment facilities. If you come across drugs in the field, do not handle them without appropriate protection. We are recommending that all law enforcement officers and first responders suspend field-testing of suspected heroin due to the unknown composition of street drugs,” Synan says. The Hamilton County Heroin Coalition brings together community leaders in the areas of public health, health care, public safety, prevention and treatment and job and family services across Southwest Ohio, Northern Kentucky and Southeast Indiana to address the heroin and opiate epidemic that is threatening the well-being and safety of our entire community. The regional collaborative creates a unified foundation that is able to scale the most successful efforts, enabling collaboration and coordination to most thoroughly and effectively leverage local resources.“What we’re seeing here is the reason we developed the Hamilton County Heroin Coalition,” says Hamilton County Commissioner, Dennis Deters. “Our public health, healthcare and law enforcement resources in the County came together quickly and collaboratively to identify the issue and spring into action.””Our community has been devastated by heroin and fentanyl abuse,” says Hamilton County Coroner, Dr. Lakshmi K. Sammarco. “So many families have lost loved ones to this scourge. 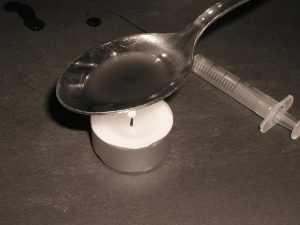 The fact that there is a new lethal drug that has been found on the streets of Hamilton County is frightening. Take this as a dire warning to all, if you choose to purchase and use any forms of heroin. No one knows what other drugs may be mixed in or substituted and you may be literally gambling with your life. Don’t count on Narcan to be able to reverse the effects of carfentanil,” she warns.